The funds will be used to renovate a historic former rail building in the growing mixed-use development. 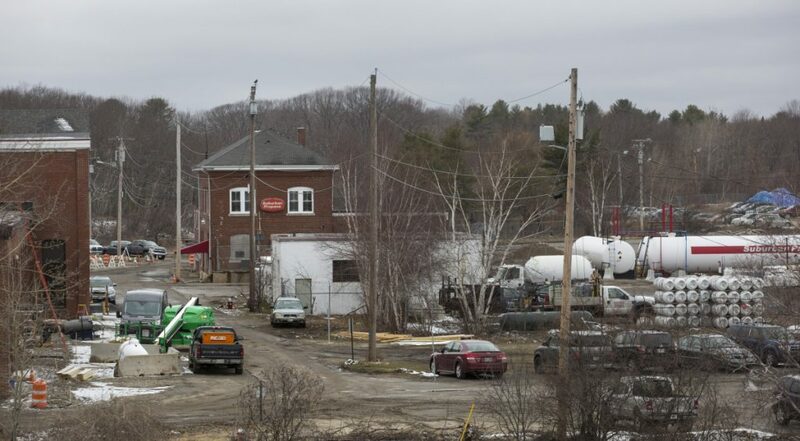 The Finance Authority of Maine has approved a loan totaling $495,000 to help the developer of Thompson’s Point in Portland renovate a historic former rail building. The renovation of the building known as Brick Burb is part of a larger, $3.3 million project involving the construction of a new building as part of a land swap designed to relocate Suburban Propane’s facility from Thompson’s Point to a replacement site on Riverside Street in Portland. The project also includes the demolition and cleanup of existing buildings on the site. The loan is expected to help create and retain 12 Maine jobs, according to FAME, a quasi-independent state agency that provides financing help for educational and business interests in the state. The Thompson’s Point redevelopment project is headed by Forefront Commons I principals Christopher Thompson and Jed Troubh. Since the project began in 2009, the 30-acre property has evolved from a derelict former railyard to a mixed-use project now home to a variety of Maine companies. The area hosts outdoor concerts and also includes the Brick South event venue and an outdoor ice-skating facility. Current tenants include Cellardoor Winery, Bissell Brothers Brewing Co., Stroudwater Spirits Distillery and the restaurant Locally Sauced. The Children’s Museum and Theatre of Maine plans to relocate to the site in a newly constructed building expected to open in the fall of 2019. The 148-room Hotel Portland, part of the Tribute portfolio by Marriott, also is on track to break ground in 2018 and open in 2020, according to FAME.